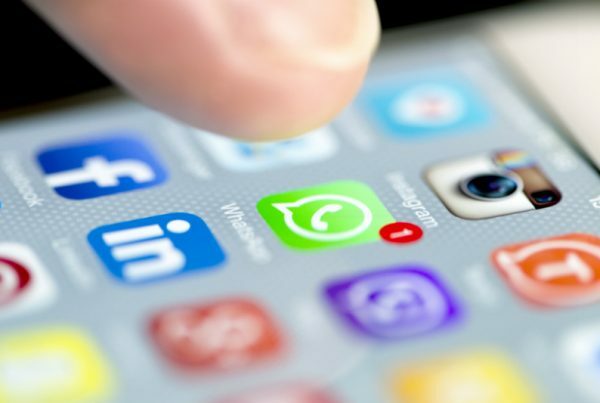 Do the big mobile networks understand your business? Get the best of both worlds; the scale and resilience of the big networks plus the flexibility & service provided by Columbus. Business mobile phones and business mobile plans made simple. A mobile service built exclusively for business use, designed to ensure that you get the best voice and data coverage for your business mobile phones. Access to the biggest and most reliable mobile data service in the UK, giving our customers a better overall mobile experience. An extensive range of business mobile phone deals, tariffs and bolt-ons including pay-as-you-use, single user, shared user and unlimited. An ongoing commitment to provide exceptional service to all our business mobile customers which helps us stand out from our competitors. Combined with Columbus’ exceptional customer service, the Columbus Business Mobile solution is focused on elevating the mobile services offered to business customers. Find out more below. The Columbus Business Mobile Plans offer a wide range of 4G mobile plans to suit all levels of data, voice and text service consumption. All Columbus business mobile plans provide unlimited voice minutes and SMS combined with generous tiered mobile data allowances. Columbus also provides optional data pooling to allow more effective management of data usage across groups of business mobile users. A UK first – Columbus Dynamic Bolt-ons provide various bolt-ons covering international SMS, international minutes and EU and Rest of World data roaming and more besides. You don’t have to request a bolt-on before you go on a business trip for example as the Dynamic Bolt-on will be automatically applied if you make an international call from another country for example. 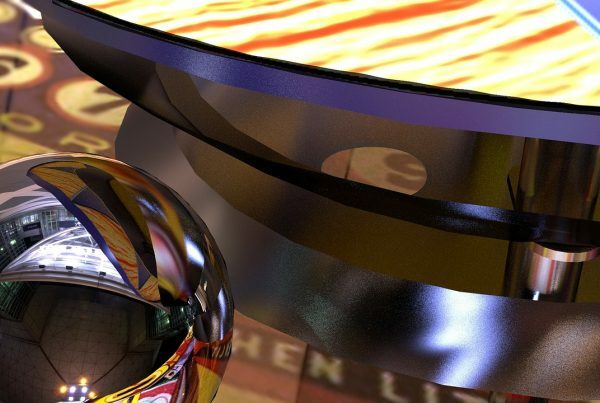 This means that the most cost-effective option is always applied, thereby eliminating any unexpected surprises if you forget to add a bolt-on, as you only pay for what you use and when you need it. Columbus provides near real-time data monitoring and lower out of bundle usage costs which will help businesses avoid ‘bill shock’ to help you manage your budget and devices more easily. For enhanced mobile network coverage, you can leverage multiple UK mobile networks using the optional MultiNet bolt-on from Columbus UK. Columbus provides a business grade voicemail service, offering different greetings inside and outside office hours, different greetings for different calls and longer message storage. The Columbus Business Mobile Self-Service portal provides customers with their own web-based portal to manage their mobile services and includes the ability to set up call bars, SIM swaps, alerts, monitor usage and more besides. This will be particularly useful for organisations that manage lots of mobile devices and connections, saving them time and providing greater control. They have been around for ages but when it comes to business mobile phones do the big networks really understand the intricacies of your business? Have you paid overuse charges for calls, texts and data because your business mobile plan does not fit your requirements? Have you suffered from bill shock because employees have gone abroad and you have not been properly advised? And perhaps you are concerned about the security of your business network with lots of mobile devices accessing your servers. Columbus can address all the above issues and much more besides with our flexible business mobile plans, business mobile devices, mobile device management and security, business class network and outstanding account management and customer service. Interested in Columbus Mobile? Get in touch. No consumer traffic clogging up the network during business hours. Great range of features designed specifically for businesses. MultiNet is ideal for businesses that need to be in continuous contact with their mobile professionals. This is because MultiNet enabled mobile devices will seek to connect to other available UK networks when the primary network is unreachable. This provides users with a much better mobile experience, ensuring that mobile workers are always reachable and productivity is not disrupted due to a lack of mobile data coverage. Using the unique UK roaming business mobile service, MultiNet from Columbus will ensure that any user will always benefit from the strongest mobile network signal, wherever they are working. The MultiNet service is available as an optional bolt on for new and existing Columbus business mobile customers. MultiNet aims to fill the gap between the big four’s individual mobile networks providing business customers with UK roaming capabilities that the big four networks do not provide. The MultiNet bolt-on is an optional service from Columbus that allows users to access multiple UK mobile networks from your Columbus Business Mobile SIM. If there is no coverage on the primary access network then your phone will search for another available UK mobile network and if one is available it will connect to it. MultiNet works automatically without needing to select a different network manually. If you are on a call when your phone moves out of coverage on the current network, the call will drop whilst the phone searches and connects to another network. You can then call back to continue the call. Does both voice and data change network when on MultiNet? Yes. When roaming on alternative access networks you can access 2G, 3G and 4G, depending on which type of connection and service is available from the secondary network. Does the handset show which network you are on? It depends on the handset – some will show the roaming network name and others will still show you the primary network. For example, the iPhone, shows the network name when roaming and Android phones will typically show both the primary network and the roaming network alongside each other. Do all users on the Columbus Mobile account have to take MultiNet? It is a per subscriber bolt-on so you can provide the service to exactly who needs it within your organisation. Is Columbus Business Mobile right for my business? Columbus offers a range of business mobile plans including single user, shared user, unlimited and a selection of bolt ons including calls, texts, data, iPhone, Blackberry, international roaming and UK, EU and international mobile broadband. Alternatively we will work with you to find a bespoke package that suits your organisation’s needs precisely. Columbus also provides a comprehensive choice of business mobile phones from all the major manufacturers and the device portfolio covering smartphones, tablets, dongles and MiFi units is updated continuously. We also support Bring Your Own Device (BYOD) with our SIM only tariffs. Columbus can cut your call expenditure on fixed lines and mobile. On average, 17% of all fixed line business calls are made to company business mobile phones in the same organisation. Columbus has a range of tariffs to suit all business types which will help you reduce and control call costs. 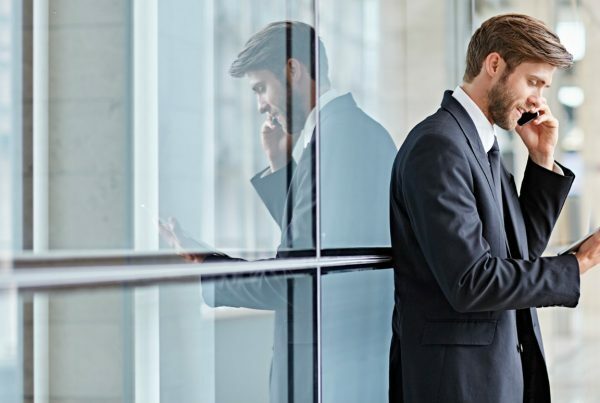 If for example you take a Columbus business service such as our SIP trunk service or Hosted Business Phone Systems we can offer free of charge calls to your Columbus contracted business mobile phones as well. Calls between offices are also free of charge which can result in significant cost savings. Best of all, your fixed and mobile charges will be combined on a single bill and you will benefit from a single point of contact for all services. If you are frustrated by dealing with multiple telecoms, mobile, broadband and technology service providers on a day-to-day basis you have definitely come to the right place. Columbus has over 2o years of experience providing fixed line services, inbound numbers, call handling solutions, business phone systems, business mobile phones and business connectivity. By switching to Columbus you will benefit from a one bill solution covering all of your essential telecoms and IT related expenditure, combined with significant cost savings, exceptional customer service and a single point of contact. 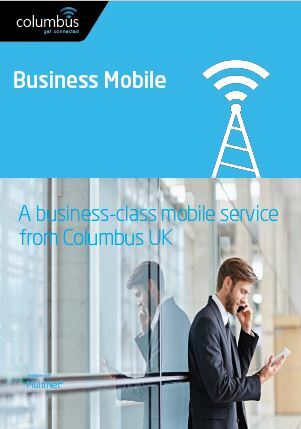 Through our extensive business wholesale arrangements, Columbus provides business mobile services in partnership with the Gamma, Vodafone and o2 mobile networks which means that we have the backing and reliability provided by the major networks but benefit from complete control of our business mobile proposition from mobile tariffs, data plans, ordering, service management and billing. Why should I choose Columbus for my business mobile phones? Columbus business mobile phones and plans are ideal for small to medium sized businesses that require an alternative, highly responsive and flexible mobile provider who will take care of devices, bundles and provide exceptional support and account management. Columbus will also save you time by consolidating mobile, fixed line and broadband on one bill with one point of contact and we will also save you money when calling between your mobiles and offices and vice versa. Do you provide fixed line, mobile and broadband on one bill? Yes we do, in fact all the services we offer are billed on one straightforward and easy to understand invoice accessible from our web portal. There’s no need for lots of suppliers for all of your business communications services as Columbus makes consolidation simple. What’s even better is the more services you take from Columbus the greater the overall discount on your service bundle. How does your business mobile service differ from the big networks? The big networks have hundred of thousands of consumer and business accounts to manage which means you might not get the service, advice and support you would expect at all times. Columbus is solely focused and set up to support UK businesses with 100% UK based operations and dedicated mobile support and account management teams. This differentiates Columbus from dealers and agents as well because we have complete control over our mobile proposition which includes business mobile phones and other devices, provisioning, service plans, bundles, contracts and commercials. What can I expect from Columbus if I move my business mobile phones? Columbus customers benefit from our longstanding, wholesale partnership arrangements with the big networks so we can make changes to your business mobile phones using seamlessly integrated systems which means we do not have to ask a third party to do it on our behalf. This significant attribute alongside our highly experienced customer service and account management teams means we can work with you more effectively and get things done for you very quickly. So in a nutshell, your business get the best of both worlds, the scale and resilience of the big networks combined with the flexibility and exceptional service provided by Columbus. Want to find out more about Columbus Business Mobile Phones, Business Mobile Plans, MDM or M2M Solutions? Get in touch. Need Help? Talk to a Columbus Business Mobile expert. Call us on 0333 240 7755. Let's go!